Easily Change Design using WordPress Customizer & the Customizer Site Beautify Plugin. 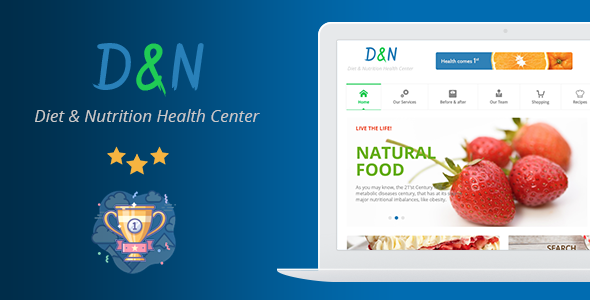 Diet & Nutrition Health Center is a clean, modern Responsive WordPress Theme suitable for any businesses that are in the following / related domains: Diet, Nutrition, Dietitian, Health , Wellness, Sport & Fitness, Weight Loss and Weight Loss Programs and for Clinics/Centers that offer these kind of Services. As you may know, the 21’st Century is the metabolic diseases century, that has at its source major nutritional imbalances, like diabetes, obesity, dyslipidemia, cardiovascular disease and so on. All these have a crucial impact on human health, and it reduces life expectancy and quality of life. To counter these effects, a lot of institutions / clinics / centers / specialized doctors have appeared all over the world. Mainly, they are called Dietitians. What’s a dietician? A dietitian is a person with a qualification in Nutrition & Dietetics recognized by national authority(s). The dietitian applies the science of nutrition to the feeding and education of groups of people and individuals in health and disease. Short definition, is a person that helps people gain back their life, their health, their confidence. 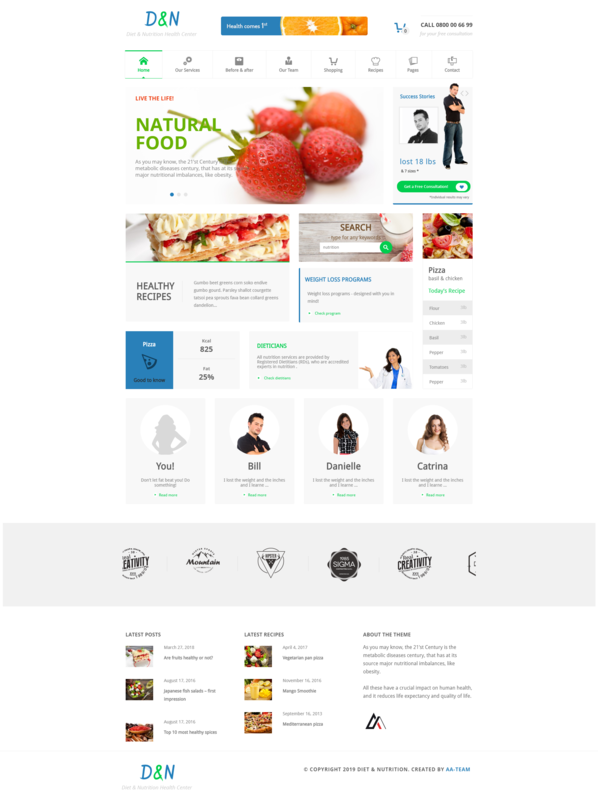 The Diet & Nutrition Health Center – WordPress Theme is designed to help also. 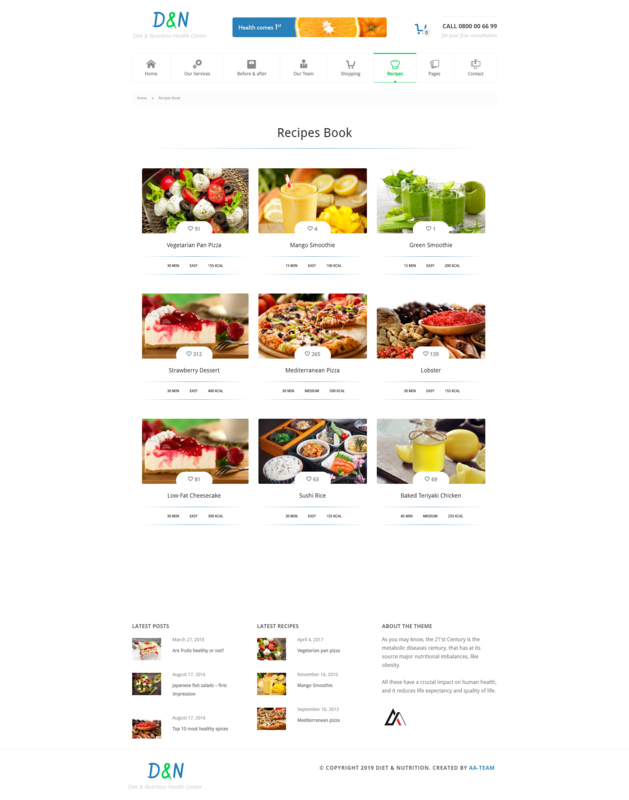 The Theme is 100% Responsive & Retina Display Ready and is guaranteed to have a great appearance on all devices, on large desktop screens and on tablets and mobiles as well. 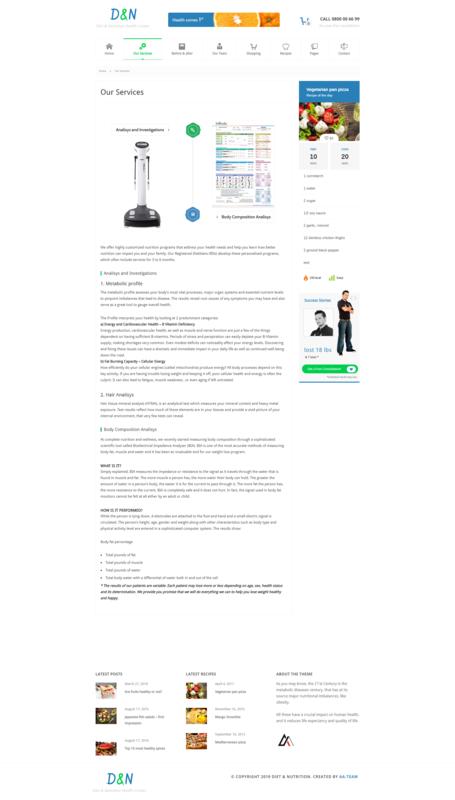 Cross browser compatible – tested in IE 8,9; Firefox; Safari; Chrome and Opera.